One of our tutors forwarded this piece to me for the college news blog and I’m so pleased I am able to show it here. 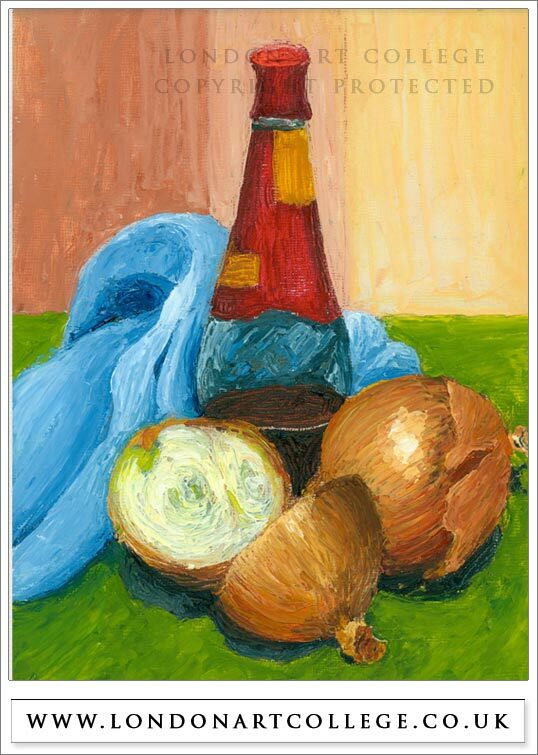 It was created by a student who is currently studying the oils course. To me it gives a feeling of warmth and happiness, although there is some conflict and unease with the cold blue cloth and the other colours which I feel makes the viewer stop and study this piece. I find it fascinating when use of colour can achieve this feeling within a painting and perhaps its something more of our students can experiment with.